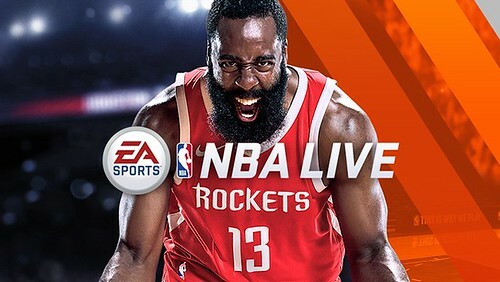 Continue on for the full blog from EA SPORTS discussing the upcoming second season of NBA LIVE Mobile. The 2017-2018 NBA Season is nearly upon us, and it's sure to be an exciting one. This offseason was full of big moves, with teams jockeying for the best teams possible. NBA LIVE Mobile is also putting in the work to have the best possible 2017-2018 season. Greatness takes time and we need a little more time to deliver you the best possible NBA LIVE Mobile experience. Don't worry, not too much more time, but we won't be launching Season Two until after the Tip-Off. The next season of NBA LIVE Mobile will be coming soon, but in the meantime, starting on opening night, we are going to have a brand-new program in our current version, featuring the exciting storylines and new teams of this upcoming season. On opening night, October 17th, you'll be able to log into the current version of NBA LIVE Mobile and play an 11-challenge event that highlights the teams with the best storylines heading into the new season. Each challenge will reward an NBA Tip-Off collectible that can be turned into sets that will reward a King of the Court pack that guarantees a 94+ OVR player. Going forward, we'll be adding new events every day until the new season of NBA LIVE Mobile launches. Compete in as many as you can, and you may earn enough tokens for a Cornucopia or Kings of the Court pack! Of course, Season Score has been extended, so if you are new to the game or want to try to get as many tickets as possible, keep going as hard as you can to earn more. As we get closer to the launch of the next season of NBA LIVE Mobile, we'll release information on all it has to offer. We're very excited to show it to you, so stay tuned!